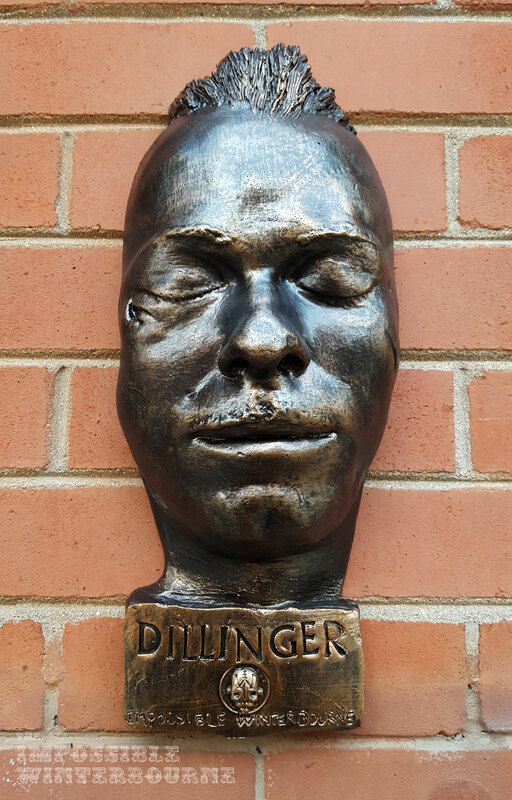 Through a series of good fortune, I was able to procure the death mask of one of the most charismatic bank robbers in American history - John Dillinger. 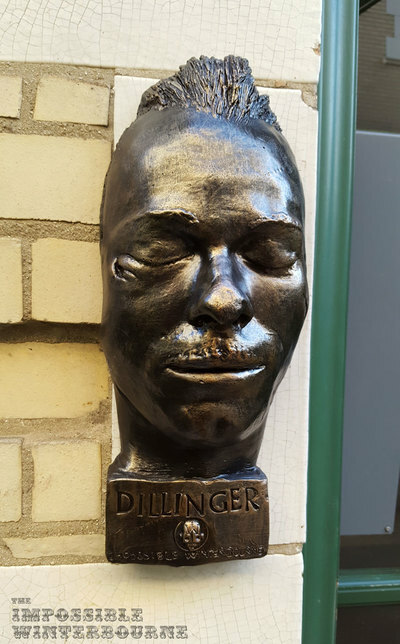 As many people know, Dillinger lived in Chicago for a time, and was shot down outside of the Biograph Theatre in Lincoln Park. 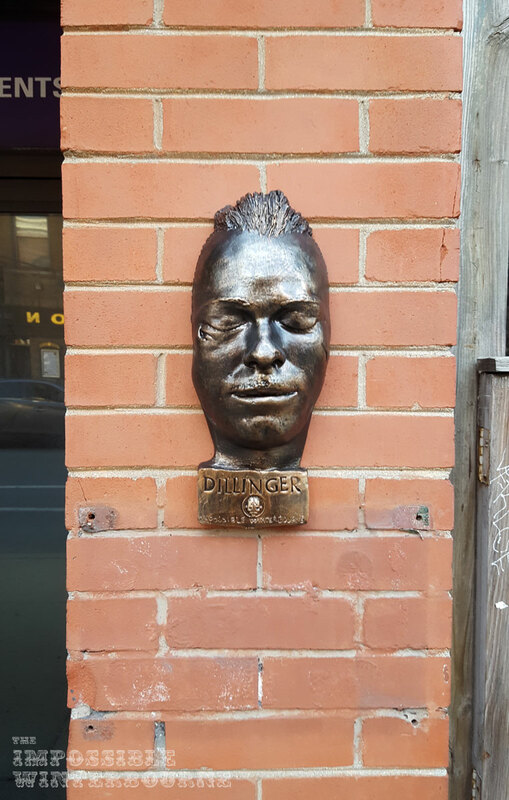 I installed my Dillinger face at his hide out on N. Clarendon, and outside the theatre, itself. When my friend and I were installing the Dillinger piece at the Biograph Theatre, I ran into a nosey old man. Nothing will foil a good installation like the elderly. They are chronically suspicious, and pay more attention to things than the young. Most people tend to ignore what goes on around them, but not the elderly. Especially if they own the building next door, and think you may be up to no good. We had just crossed the street, which was clear - no people or cars insight! The theater hadn’t opened yet, so there was no crowd. The building next door was vacant, and had permits in the window, so no worries there - or so I thought. 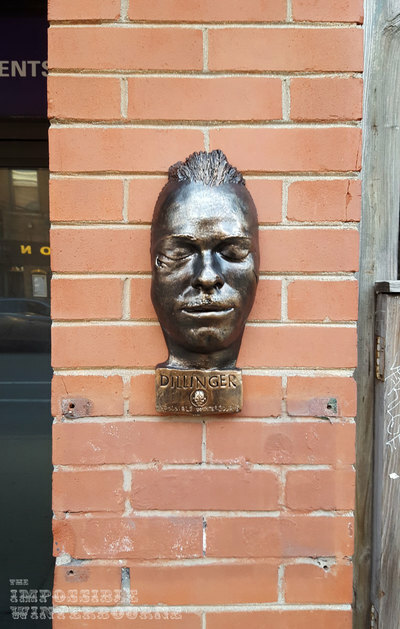 As we got to the place I was going to install Dillinger’s face, this little old man comes walking across the street. So I start making small talk with my friend until he walks by. This usually does the trick, only he does not walk by. He stops right behind us. I feel his eyes on me, but I refuse to engage him. 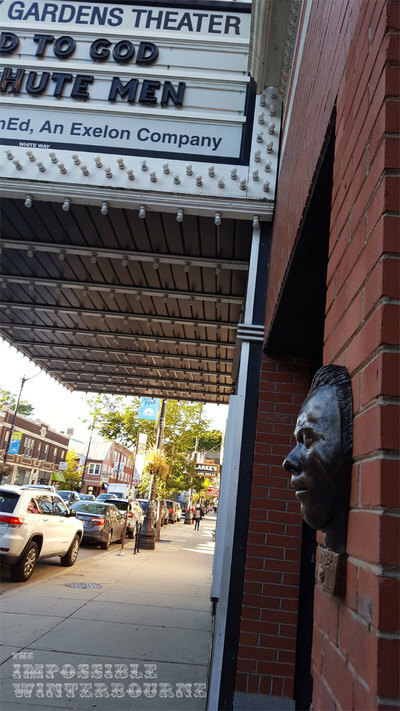 Instead, I proceed to lament the loss of the Red Lion Pub across the street, and regale my partner with a tale of how the last time I was there The Chicago Albino Society was holding a meeting, and it was said to be one of the most haunted buildings in Chicago. 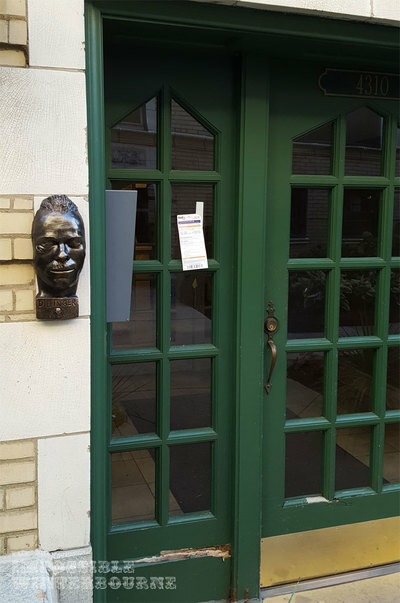 Finally he went inside, so I started to peel back the covers of the double sided tape and affix the sculpture to the wall when out he pops again! This time there is no denying what we are doing there, so instead I embrace it, and start telling my friend to stand next to it so that I can photograph him for the “society” and saying things like, “Yes, they will be very happy with this! They said they wanted some shots with the marquee as well. 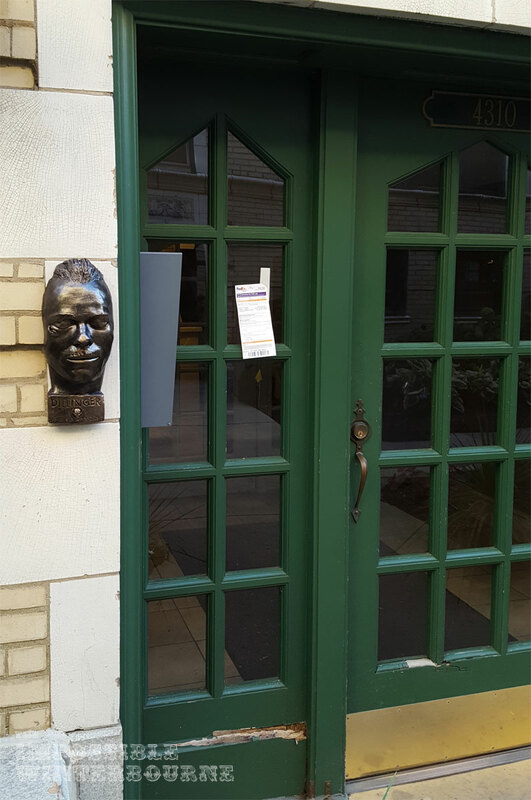 Ok, now step out of frame, and I’ll get some of just the sculpture. Oh! 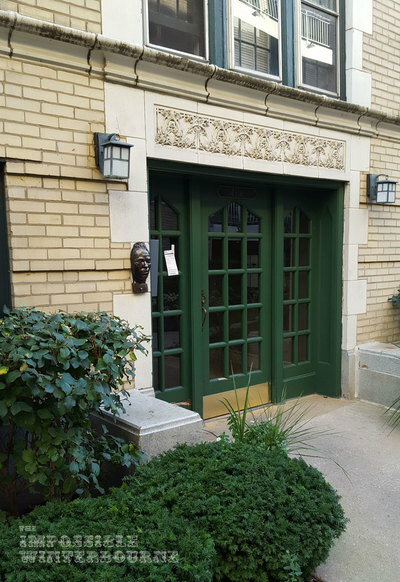 This will make them very happy!” The old man, either satisfied that we had permission, or thoroughly confused, went back inside without saying a word, and we absconded down the street.